Some military families would see some co-pays decrease under a Senate proposal to change the Tricare fee structure, but retirees under age 65 would see a major fee hike. Working-age retirees now pay no enrollment fees to join Tricare Select. The proposal would create a $450 annual enrollment fee for an individual and a $900 annual enrollment fee for a family, in addition to a new out-of-network deductible for this coverage group that could cost retirees even more. Retirees in Tricare Prime would see their enrollment fee increase to $350 per individual, from the current $289.08, or to $700 per family, from the current $578.16. 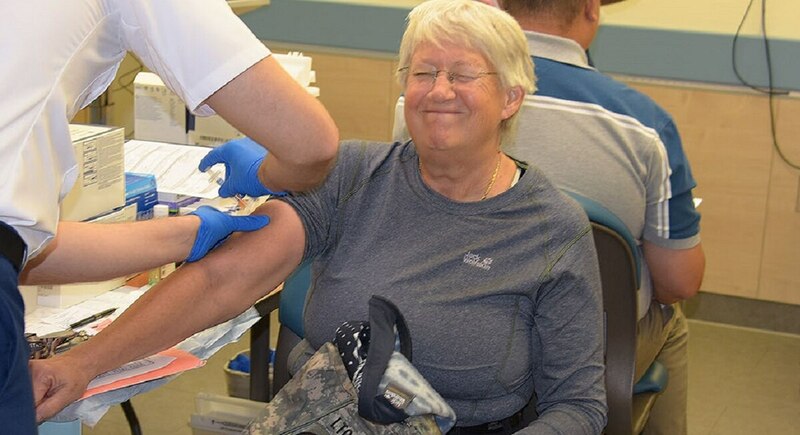 “Our concern is that in the course of a year this would be the second major Tricare hike for retirees under age 65,” said Kathy Beasley, a retired Navy captain who is director of government relations for health care for The Military Officers Association of America. This proposal doesn’t affect military retirees and their family members age 65 and older, who are in Tricare for Life. Active-duty families and working-age retirees/families could see some co-pays decrease, Beasley said, although not enough to offset the increase in enrollment fees for retirees. The proposal, which is included in the Senate version of the defense authorization bill, was designed to fix a problem that caused higher co-pays for those eligible for Tricare before Jan. 1, when many of the Tricare reforms took effect. The bill will go before the Senate for a vote, and the provision would then be considered in conference with House lawmakers. In its current form, if approved, the new cost structure would take effect Jan. 1, 2019. “This provision would correct an inequity in the Tricare benefit among beneficiaries by establishing a single co-payment structure applicable to all Tricare beneficiaries,” stated a report accompanying the bill text. Senate Armed Services Committee members stated they were aware that those who were already in Tricare before the reform took effect in January were paying higher co-payments than beneficiaries who entered the military after Jan. 1. Some beneficiaries will be grandfathered into the system ... and that's not necessarily a good thing. Working-age retirees and their families in Tricare Select would also be subject to a new out-of-network deductible of $300 for individuals and $600 for families ― which has to be met before Tricare begins paying its share of medical bills. “We are particularly disappointed [the proposal] doesn’t fix the unreasonably high co-pays for the physical, speech, occupational and mental health therapies ― co-pays so high, we are concerned that families won’t follow recommended treatment plans,” Ruedisueli said. “After months of problems with the Tricare contract transitions, including disruptions in care, network problems, and customer service nightmares, it is outrageous to ask families to pay more out-of-pocket,” Ruedisueli said. The provision would benefit the Defense Department by lowering health care costs by about $2.8 billion over the period between 2020 and 2023, according to a cost estimate from the Congressional Budget Office. (CBO assumes this legislation wouldn’t be enacted in time to affect fees and enrollments for 2019.) CBO estimates that the average out-of-pocket cost for those in Tricare Select would be about $570 for individual retirees and $1,645 for those with families. Primary care outpatient visits would decrease from $21 to $15 for active-duty family members, and from $28 to $25 for retirees and their families. Specialty care outpatient visits would decrease from $31 to $25 for active-duty families, and from $41 to $40 for retirees and their families. Emergency services would decrease from $81 to $40 for active-duty families, and from $109 to $80 for retirees and their families.